Having more than one serious, committed relationship is a head scratcher for many people. Throughout the years since discovering my polyamorous nature*, I have dated many wonderful women who struggled mightily with adjusting to poly. I thought that jealousy would be the primary spoiler of otherwise beautiful unions. And while jealousy has been a frequent visitor, it was not behind the most difficult and important struggles. Jealousy has a short half-life, a quick emotional burst that can burn bright and frequently passes as much on its own as in response to soothing. The hard struggles all revolved around trust. Can I count on you to be there for me when I need you? Can I trust that you will not leave me when the relationship deepens and becomes more complicated? Will you and your other partner(s) treat my feelings and interests as important? Can I trust that you will make me a priority when I need you? Will you be there for me when I’m upset? Will your other relationship(s) always come first? Can I trust you to keep our relationship agreements? 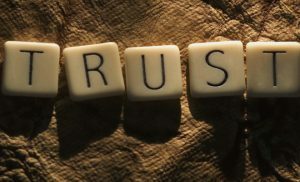 Trust is the critical social lubricant that reduces the heat and friction of human personalities interacting. Trust is the hallmark of a healthy relationship. It increases our relationships’ resilience as our lives naturally increase in complexity over time… metamores, kids, health issues etc. Trust permits action with incomplete information. Trust makes every interaction easier and less taxing. I have entirely too much experience with relationship disasters caused by insufficient attention to trust within a relationship and with metamores (your partner’s other partners**). Lack of trust leads to a constant negative state of high arousal and stress; worry that our partner will fail or betray us. We are wary, suspicious and hyper-vigilant looking for signs that our insecurity is justified. Low trust relationships are literally unhealthy as the stress manifests itself in higher rates of heart disease, depression, stroke and early death (Blumstein and Schwartz). Most of the early conflict in relationships center on questions of trust and untrustworthiness. 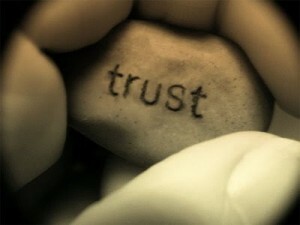 Trust is tested, established, or eroded in small moments of ordinary conversation and in working through disagreements. The growing science of trust, like most things, takes a mono-normative*** perspective (“The Science of Trust” by John Gottman). Our cultural lore focuses on non-monogamy as a breach of trust (e.g., cheating) where a loving, trusting connection is undermined. We don’t have models or the cultural language to understand how trust operates within non-monogamous relationships. Yet trust is clearly found in them. Trust gets tested in ethical non-monogamy beyond the romantic pair to include trust between metamores. The exciting possibility is we can develop a clearer roadmap to grow our capacity for loving and establishing healthy poly families by extending the lessons from the science of trust. I strive to build high trust polyamorous relationships, where partners and metamores have a sense of being on the same team. Trust is the foundation from which a strong polycule (what I call my intimate network) can be built. We know we’ve achieved high trust when we can take as a given that our partners and our metamores have our best interests at heart, rather than only their own self-interests or only the interests of one particular coupling. This depth of trust evolves over time. The expectation that it is instant is counter-productive in both monogamous and polyamorous relationships. Sounds awesome. So how does one build these high trust poly relationships? I’ve attempted to answer that question through a poly friendly augmentation of John Gottman’s excellent blueprint to building high trust relationships. Build and maintain Fondness and Admiration. We have a choice. Are we going to emphasize the positive qualities and keep those top of mind? Or will we consistently bring to mind the myriad ways that someone irritates or frustrates us? A slight positive halo is well-known to underlie healthy relationships. There’s a deep fund of respect and mutual admiration. Keeping close to mind a sense of love and respect is a fundamental aspect of happy long-term relationships. What about metamores? In the monthly poly discussion group that I co-facilitate, happy metamore relationships are consistently described as flooded with appreciation. They are able to articulate the ways in which their metamores enhance both their partner’s and their own lives. Those who are negative or are unable to pinpoint positive contributions are simply less able to muster the fondness and good feeling for their metamores. Instead of treating this fondness and admiration for our partners and metamores as a happy accident, we can actively cultivate it in our relationships. Reinforce fondness and admiration by consistently expressing warmth, humor and affection to your partners and their partners. Make it a routine to bring to mind (and ideally write down) the things we have to be grateful for in our relationships, what your metamores bring to your partner and what your metamores brings to you directly. Take pains to recall happy moments and offer spontaneous compliments to them. If you can’t muster enough positive experiences and qualities to work with, stop and evaluate the quality of your connection at this point (with your partner or metamore). Communicate and make a plan with them to improve things. “We-ness” versus “Me-ness”. How much couples, throuples and moresomes identify with their relationships is an important sign of relationship satisfaction. Although Gottman’s research focuses on couples, my experience and observations of poly relationships bears this out. People in happy poly relationships tend to relate stories where they worked well together as a unit. They describe their world in inclusive terms of “we and our.” The sense that they are “in this together” is palpable. This sense can and should be intentionally developed. Gottman finds that unresolved arguments are not the primary contributor to unhappy couples. The root of their isolation and conflict is in being self-focused, blunting pathways to empathy and attunement (and, the worst case couples also have toxic exchanges). Happy couples (and, presumably throuples and polycules) have just as many unresolved arguments as the unhappy couples. Their happiness and satisfaction is rooted in strong identification with the relationship which biases them toward empathy and attuned communication (and fewer toxic exchanges). “We-ness” instead of “me-ness” orients partners to turn toward instead of away from each other. It is facilitated by a shared sense of beliefs, values and life goals discussed below. We can develop and maintain the sense of we-ness through high bandwidth communication to shape shared goals, creating rituals or artifacts (symbols, songs, poems etc.) to visualize, represent and affirm shared values. A critical challenge as a polycule or relationship network changes is expanding a sense of “we-ness” to include new partners. The same tools of high bandwidth communication, creative rituals and frequent affirmation to co-create and maintain shared goals and beliefs must be inclusive of and adapted with new partners. The existing partners must be open to be influenced by the new partner(s) for it to be authentic and have the desired effect. This requires courage and a willingness to thrive in the change, as the new partner(s) will bring energy and new ideas. The goal is not to prevent change. That’s a fool’s errand. Instead, the goal is to thrive on the change and focus on finding a path to compatible change and growth. Make Love Maps: Our love maps are our detailed understanding of our partners’ worlds, including the role our relationship has played in their lives. Be intimately familiar with each other’s worlds. Beyond your partner’s biography, seek to understand the meaning they make out of the important events in their life, for example, so that you can describe that little thing that annoys her about her brother and she knows how your father’s absence shapes your view of parenting. You all understand how previous relationship dynamics trip you up in certain situations. And, we keep an updated understanding of how life events reshape us. This creates a sense of being known. Being truly known is one of our deepest yearnings that, when satisfied, gives a strong sense of belonging and acceptance. Not only do we have love maps for our partners, we have love maps about our relationships. The relationship love map is a story about the relationship and its meaning in our lives. Are you able to describe relationship memories vividly and distinctly? Build a strong love map by telling and retelling your relationship story to each other and to others with energy and enthusiasm. Be able to weave in each other’s personal history, personality, quirks and passions (i.e., their love maps) into the narrative. These love Maps are dynamic, they are always a work in progress. They reflect how we and our partners jointly interpret events as we reflect on them, especially the negative ones. 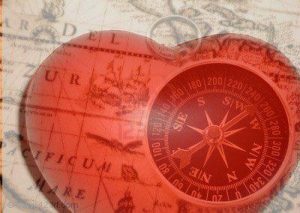 Strong love maps help make sense out of negative events in ways that strengthen our connections. Develop Purpose and Meaning: just like a well lived life, healthy relationships are full of purpose and meaning. Purpose is created through a shared vision or dream. It creates the sense of being part of something bigger that you are all jointly contributing to realizing. Life inevitably throws us challenges, set-backs and hurdles. In many relationships, this is experienced as chaos and randomness. They get stuck focusing on those things that don’t really matter. They find it hard to deal with the unexpected and difficult because they are responding and adjusting to them un-tethered. Relationships that have a strong sense of purpose have a framework to glorify the struggle, expressing pride that they survived difficult times. Purpose and meaning help keep people focused on the big picture. Talking about vision with your partner(s) fosters attunement and connection. Sharing your dreams, finding commonality between them and creating new shared dreams brings people closer together. It creates a sense that you are working together to bring each others’ dreams to life, a strong catalyst to emotional bonding. Write a relationship agreement but not a rule book. The kind of relationship agreement that builds purpose and meaning is best described as a mission statement or a vision for who you are together. The document forms a basis for understanding and articulating your joint aspirations and hopes. It describes important aspects of your relationship structure. Most importantly, it melds passion with purpose. Successfully articulated it becomes a touchstone, a beacon that highlights the purpose and potential of a beautiful connection in your lives and the world. Write a relationship agreement that incorporates your metamores. This could be one common document that is created to include the ideas and passions of a new partner and also describing the aspirations of metamore connections. So, instead of having multiple relationship agreements, you create a single common agreement that gets recreated for the polycule as emotional bonds and commitment develop with new partners. It could also be an additional “Polycule” relationship agreement that describes the broader aspiration for the polycule (while having separate relationship agreements within smaller, romantically bonded dyads or triads). This polycule agreement doesn’t have to be a detailed mission statement similar to what some intentional communities create. It can be as simple as developing a common section on joint values and aspirations for what the polycule brings to each others’ lives. This common section would be inserted into the separate relationship agreements between the romantic dyads in the polycule. There are many different ways to articulate this sense of shared purpose. Be creative. But, most importantly, be aspirational. Develop shared responsibilities. Dreaming together is one thing, making that dream real is another. Figuring out how to implement your shared purpose requires connecting them to a set of shared responsibilities. For example, an important bonding mechanism in my relationship is our shared responsibility as community leaders. Shared responsibilities don’t always have to be the “whole polycule, all the time” to work. It will work most effectively, however, if the shared responsibilities don’t always only connect different romantic dyads in the polycule. Metamores and larger subsets should take the time to find where they can create shared responsibilities as well. Shared responsibilities can be lofty: writing books together, raising your children together with progressive values (see Modern Family), developing new methods of local environmental sustainability, being the anchor for bringing your family of choice together, creating adventures around the world, a crucible to spark personal, spiritual and/or intellectual growth… etc. And, shared responsibilities can include the mundane: easing the financial burden across the polycule, daily meals together, shepherding children to and from their various activities, housecleaning and home maintenance, etc. Express Gratitude and Satisfaction: Polycules that take the time to develop shared purpose and responsibilities are more likely to experience mutual admiration and gratitude within their romantic connections and across metamores. It is important to reinforce those feelings, whatever their source, by giving them voice. In poly relationships, it is easy to make negative comparisons of our relationships to other relationships or potential relationships (e.g., “Jim’s partner is sexier/smarter/funnier/<insert valued characteristic> than my Cindy” or “Why can’t Joan be as easy going as my new partner Jill?”). This is one of those bad habits of mind that the dominant culture reinforces that is absolutely corrosive in poly. Don’t do that! Negative comparisons are not only the source of much of the fear that fuels jealousy (“what if she thinks he’s better than me?”), it also drives dissatisfaction over differences that don’t matter. Focus on the differences that matter and use them to cultivate a sense of specialness and uniqueness of your relationships. Actively cherish partners by thinking fondly of them, even when apart and especially when they are out with their other partners. A great jealousy busting technique is to include fondness for what their other partners bring to your and your partner’s lives in this reverie. In this way, we can cultivate a habit of mind that dwells on being grateful for your partner’s and metamore’s positive contributions to your life. I’m on this journey with you. I am (we are) not there yet. I’ve learned from the wisdom of those I know who are already rocking it. I’m looking forward to continued experimentation with ideas in this blueprint with my partners. We’ll see what magic we can create. Care to join us? Polyamorous (poly) people seek and develop romantic relationships with more than one person at a time, with the knowledge and consent of everyone involved. Some people are polyamorous by choice, in that they can just as easily live a happily polyamorous life as a monogamous one. Others of us feel we are so fundamentally poly that living monogamously significantly reduces our potential for a happy, fulfilling life. I believe myself to be the latter type of poly person. I am poly. Living another way would (and has) required a soul sucking amount of self-rejection and denial. A key challenge for people when trying to understand polyamory is the role of their partner’s other partners (i.e., their metamores) play in poly relationship satisfaction. In my experience, a consistent stumbling block for people transitioning to poly is changing their mindset and behavior that comes from viewing their partner’s other connections as romantic rivals. This baggage from monogamous culture is particularly corrosive and antithetical to polyamarous relating. Mono-normativity is the widely held Western assumption that monogamy is “normal,” natural and the universally desired outcome of courtship. This assumption implicitly characterizes people and cultures that do not practice monogamy as deviant, immoral or mentally ill – at worse – and exotic or counter-cultural, at best. It can be a very dangerous characterization. Beyond social stigma and disapproval, prejudice and direct hostility are also likely outcomes. A goal of many progressive movements is to destigmatize and normalize difference in order to decrease injustice and increase freedom. This all sounds great when people are able to get along, and they are emotionally healthy. Do you have advice on how to handle a metamour relationship where I believe the relationship my partner has with his other partner is toxic and emotionally abusive? Because of my past experience in such a toxic relationship, I had to create a boundary and remove myself from the “we-ness” to keep myself from being emotionally harmed and engaged with their dynamic. I appreciate hearing your thoughts as well as others. Sounds very challenging. Certainly, setting a boundary to separate from emotional abuse is wise. Realistically, you will continue to be impacted by the toxic relationship within your intimate network. I have learned the hard way that the blowback is scarcely slowed by good boundaries. As such, supporting them to find a healthy connection is the best advice, probably best through therapy. It is a hard thing to recommend, particularly if your partner doesn’t view the relationship as having problems.